The outdoors co-op says it has outgrown its current headquarters, in Kent, and it aims to move to a new site in Bellevue in 2020. 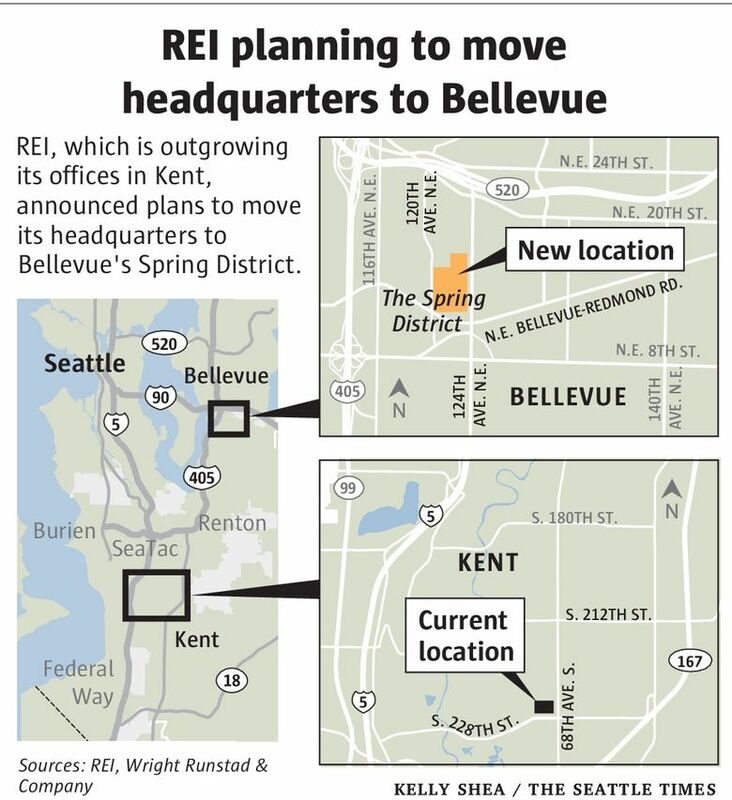 REI has chosen Bellevue as the location of its new headquarters. The outdoors co-op has outgrown its headquarters in Kent and has been looking for a new campus for a while. REI said Tuesday it has signed a nonbinding letter of intent to develop eight acres in Bellevue’s Spring District, between State Route 520 and Bel-Red Road. If the deal is finalized and all goes as planned, the relocation will take place in 2020. 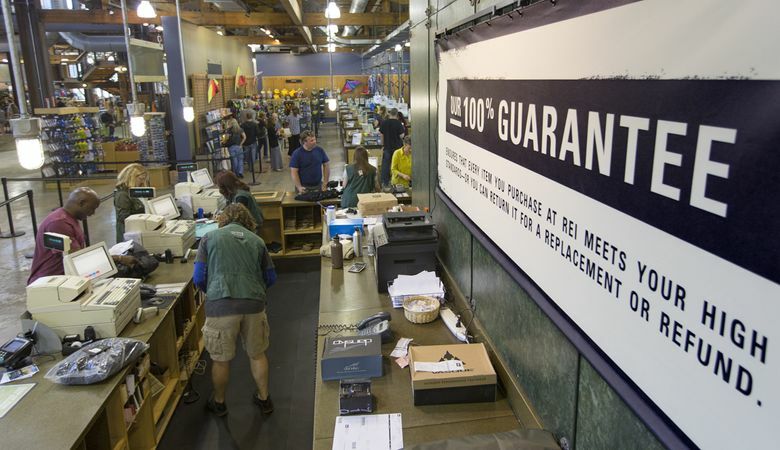 As REI thrives, does it have members or merely shoppers? Negotiations are continuing and REI should know by summer if the deal can move ahead. “The Spring District offers us the flexibility to create a unique space for the co-op, where our employees and our community can gather and share our love of the outdoors,” the co-op said in an email to employees at its headquarters. The area is close to several city parks and within a few miles of several wilderness areas. 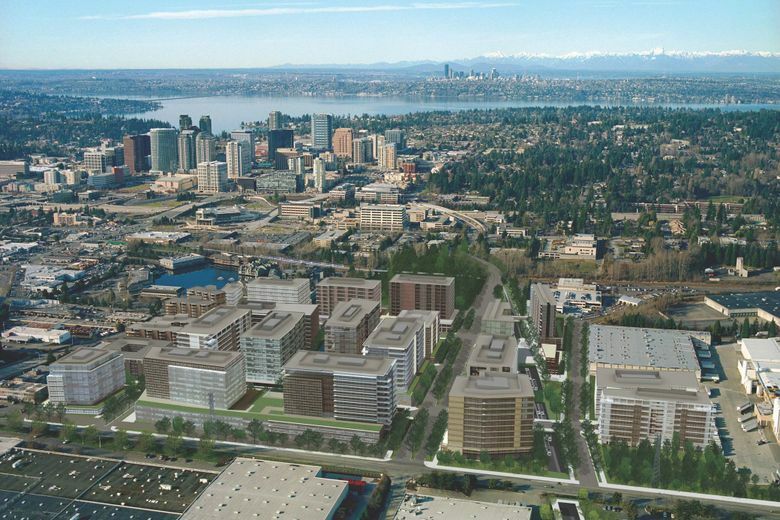 The Spring District, named and conceived of as a mixed-use neighborhood by development company Wright Runstad & Company, covers 36 acres in Bellevue’s quasi-industrial Bel-Red corridor. Shorenstein Properties of San Francisco is the development partner. It is being built in three phases with the eastern and southernmost blocks being developed first. The first phase includes the construction of office and residential buildings as well as a central park space, according to the Spring District website. The construction of 300 apartments by Security Properties is under way and additional apartment projects are planned by Security Properties and AMLI Residential. The Global Innovation Exchange (GIX), a graduate institute focusing on technology and innovation being created by the University of Washington and Tsinghua University of Beijing, is also part of the first phase. Construction starts this summer on its 100,000-square-foot, 3-story building in The Spring District with doors opening in fall 2017. GIX’s first class actually starts fall 2016 with students studying their first year at Tsinghua University. The site that REI is evaluating represents just over 20 percent of The Spring District and will accelerate the development of the project’s second major phase, Wright Runstad said. Plans for The Spring District also include more than two acres of public open space that will provide natural elements and places to gather. REI had said that another factor in its decision to locate to Bellevue’s Spring District is that “the region’s transportation authorities are planning to invest billions of dollars for new infrastructure,“ including miles of bike lanes, plans to convert the Eastside Rail Corridor to a multiuse trail connecting Woodinville to Renton, and plans for a light-rail station to open in 2023 next to REI’s planned campus. REI’s headquarters have been in Kent since 1988, and the co-op also has satellite offices in Bellevue and Seattle’s Georgetown area. It has about 1,200 employees at its headquarters.